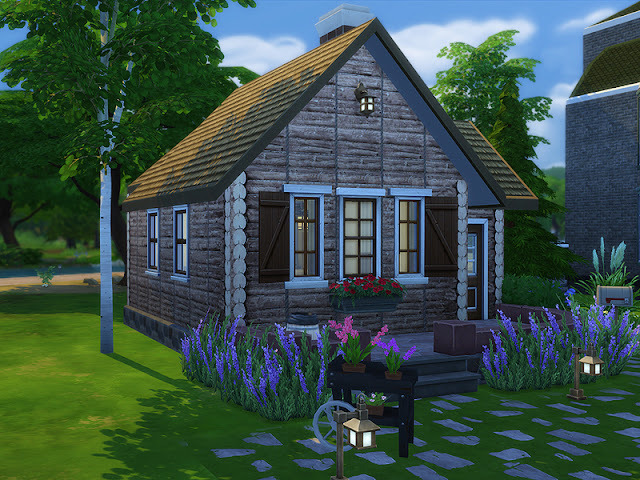 This small wooden cabin maximizes the space through a minimal design and an open floor plan. The log exterior walls give this home a stylish and rustic appeal. Extremely cheap to build, provides cozy living, and has all the basic amenities that a single sim needs. 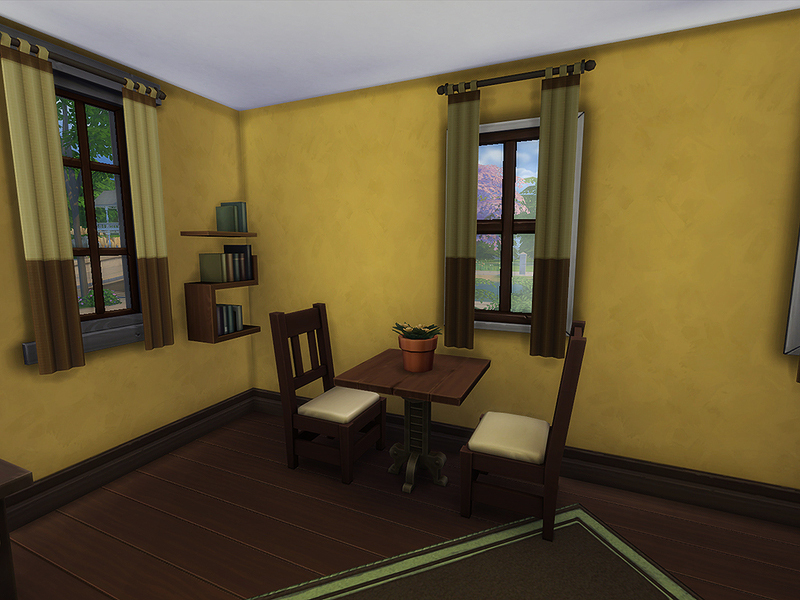 The main space includes a single bed, dining area and kitchenette. 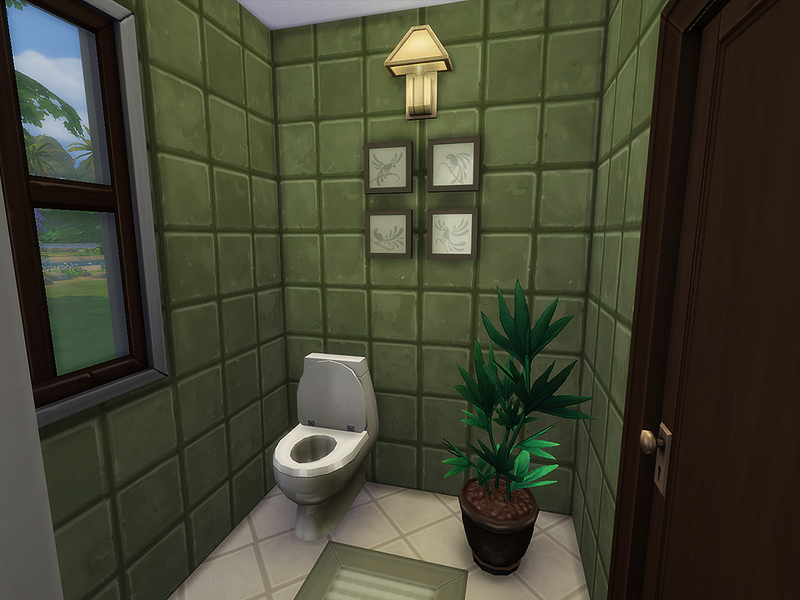 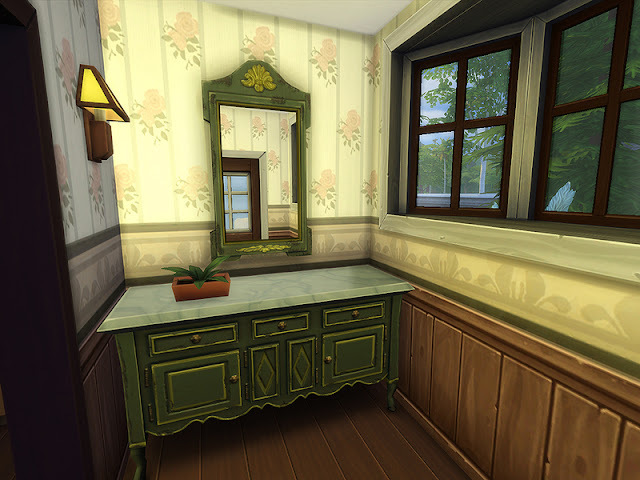 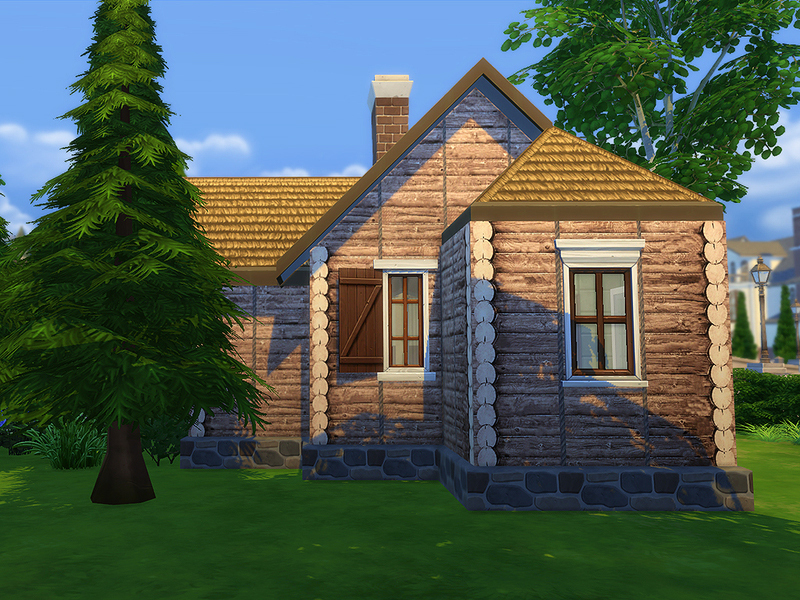 This fully furnished and decorated house sits on a 20 x 15 lot and only cost §14,646 simoleons. 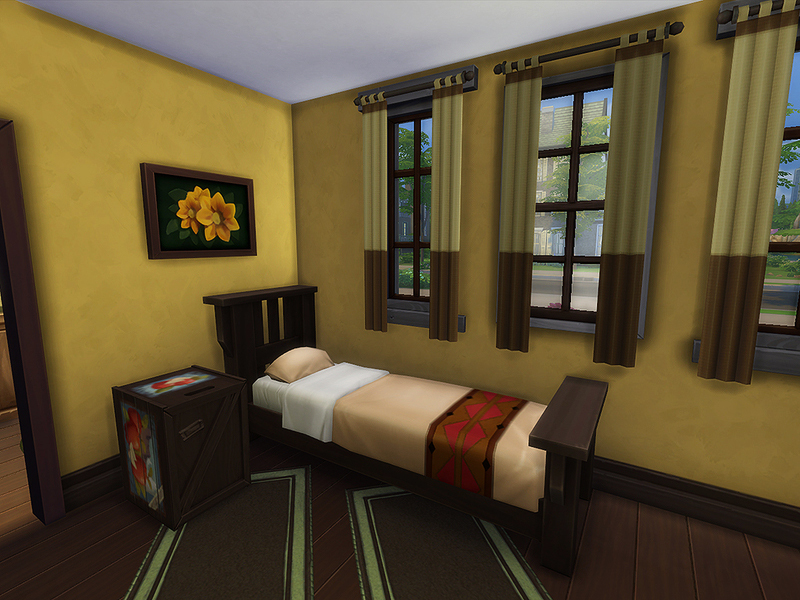 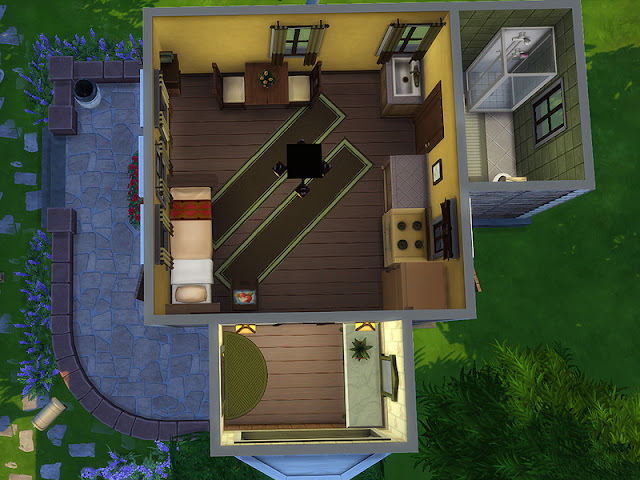 It would be fairly easy to add another bed using the extra room to accommodate another sim. For under 15k, this is definitely a bang for the buck home. 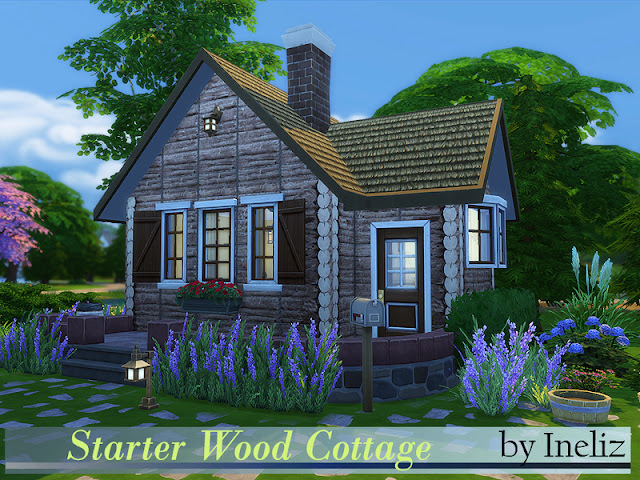 This creation requires you to install the 3 cottage logs CC (custom content) included in the download pack. 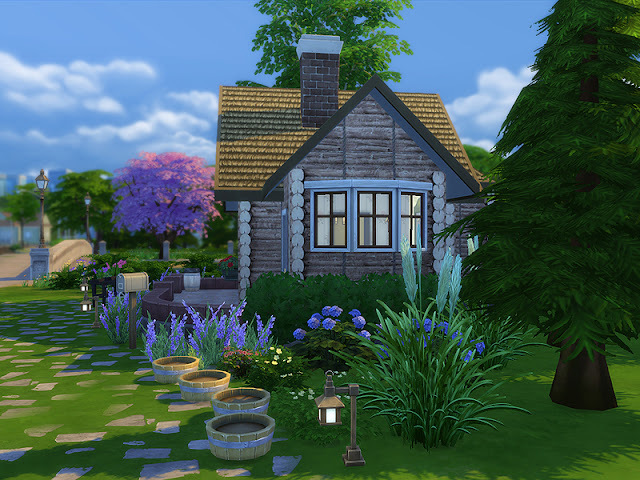 I used The Sims 4 digital deluxe edition version of the game to create this house. In order to load the custom content, you must install it first before placing the lot. The 3 .package files goes into your Mods folder, while the .trayitem, .blueprint and .bpi must be placed into your Tray folder. 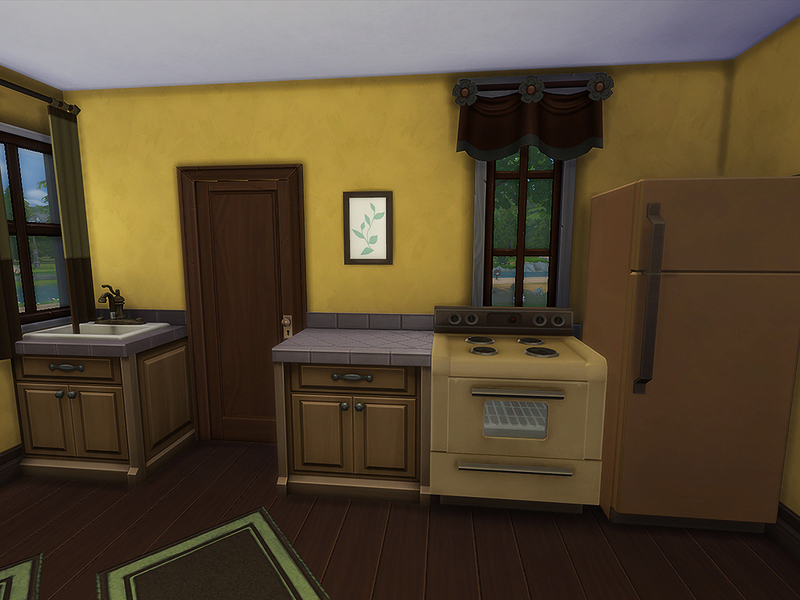 Folder location is Documents » Electronic Arts » The Sims 4. If you're looking for a detailed and step-by-step tutorial, visit this page.